“Every accomplishment starts with the decision to try” – John. F. Kennedy. This words suits to Mr. Arun Raju. 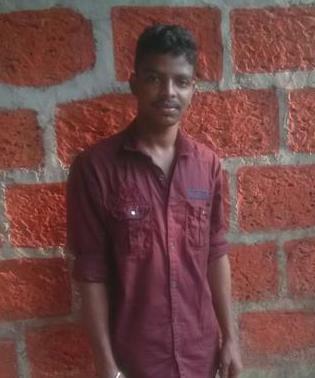 He is 21 years old, living in a rural area called Vathilmada near Payyavoor (Sreekandapuram). His Father Mr. Raju is a coolie and his mother is a homemaker. He have one younger sister also. Being the elder child and also due to poor financial background, he started to going for a job as a daily labourer after SSLC. He went for painting and loading work in order to meet the needs of his family. One day he got a notice from his friend about the free courses provided by Don Bosco Tech. That was the turning point in his life. And he came to our Don Bosco Tech centre for clearing his doubts. After counselling he showed interest to join in Automotive Service Technician. In holidays he went for the job also which he went before for his family. During the beginning of training, he faced some difficulties to follow the classes. But the strong determination and hard work made him to follow and complete the training. It also helped him to learn computer and the basics of English. During the training with the assistance of Don Bosco Tech, he went for an interview in Wheel Tech Chemberi and he got the job with the salary of Rs.7000 /- per month. He believes that it is only because of Don Bosco Tech. He is thankful to Don Bosco Tech Society in his whole lifetime. We are proud to be a part of Don Bosco Tech Society which can make a remarkable change in young one’s life.